DREAM AHEAD Champion Sprinter in Europe in 2011. Champion 3YO Miler in France & GB in 2011. Joint Champion 2YO Colt in Europe & GB in 2010. 6 wins-3 at 2-to 1400m, £485,426, €371,410, Newmarket Middle Park S., Gr.1, July Cup, Gr.1, Deauville Prix Morny, Gr.1, Longchamp Prix de la Foret, Gr.1, Haydock Sprint Cup, Gr.1. He entered stud in Ireland in 2012. He entered stud in Aust. in 2012. 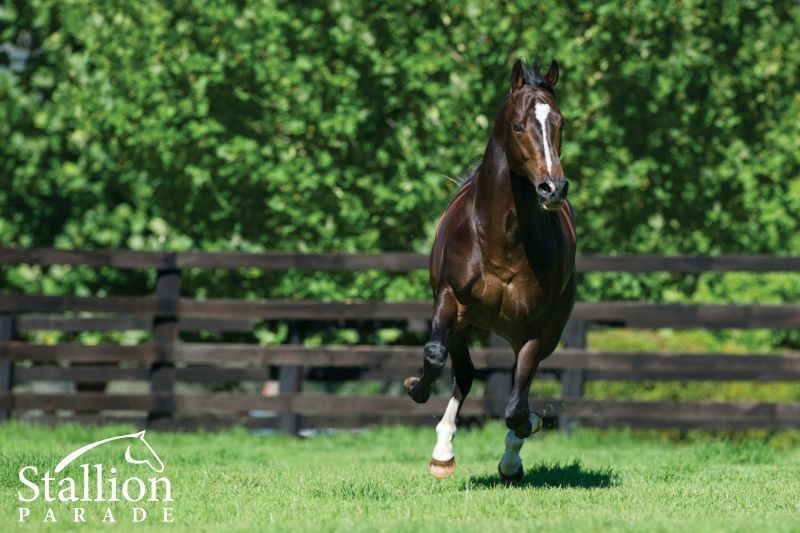 Leading French First Season Sire in 2015. Sire of 488 progeny to race, 260 winners (53.0%), earnings of over $20 million, 21 stakes winners, 24 stakes placegetters, inc.
AL WUKAIR (14c, Machiavellian, Caerleon). 4 wins-2 at 2-at 1400m, 1600m, £53,800, €501,980, Deauville Prix Jacques le Marois, Gr.1, Maisons-Laffitte Prix Djebel, Gr.3, Deauville Prix Isonomy, L, Saint-Cloud Prix Victrix, 2d Maisons-Laffitte Prix Messidor, Gr.3, 3d The Two Thousand Guineas, Gr.1. DONJUAN TRIUMPHANT (13c, Tagula, Priolo). 6 wins-3 at 2-to 1400m to 2018, £289,969, €209,443, Criterium de Maisons-Laffitte, Gr.2, York Rockingham S., L, Doncaster Wentworth S., L, Haydock Ayr Gold Cup, Ayr Shadwell Stud Nursery H., Haydock 32red.com S., 2d Deauville Prix Maurice de Gheest, Gr.1, Haydock Sandy Lane S., Gr.2, Leicester King Richard III S., L, Haydock Goals Galore Nursery H., 3d Ascot British Champions Sprint S., Gr.1, Leicester King Richard III S., L, Kempton 32red.com S., Lingfield Sunbets.co.uk S., 4th Haydock Sprint Cup, Gr.1, Saint-Cloud Criterium International, Gr.1, Goodwood Lennox S., Gr.2. SHUMOOKH (14f, Secret Savings, Don't Say Halo). 3 wins at 1250m, 1400m to 2018-19, A$512,695, ATC Golden Pendant, Gr.2, MRC Tristarc S., Gr.2, ATC Pluck at Vinery P., 2d ATC Light Fingers S., Gr.2, Wyong RC Mona Lisa S., L, ATC Nelune Foundation H., 3d ATC Surround S., Gr.1, 4th ATC Angst S., Gr.3. DARK VISION (16c, Dansili, Rock City). 3 wins at 2 in 2018, £134,645, Goodwood Vintage S., Gr.2, York John Smith's 2YO S., 3d Chelmsford City Woodford Reserve Cardinal S.
DREAMS APLENTY (13g, Redoute's Choice, Zabeel). 7 wins-1 at 2-from 1000m to 1650m to 2017-18, A$425,025, BRC Gunsynd Classic, Gr.3, Gold Coast Cup, L, Ipswich TC City of Ipswich H., BRC Racezone National Apprentice Series P., Treasury Ladies Oaks Day P., Toowoomba Guineas, 2d BRC Sires' Produce S., Gr.2, Cascade H., St Vincent's Care Services H., Surf Life Saving Qld H., SCTC Rent 2 Own Cars Australia 2YO P., GCTC PFD Queensland H., BRC Prive249 Restaurant P., 3d BRC Lough Neagh S., L, SCTC Clipsal by Schneider H., 4th BRC Champagne Classic, Gr.2. TORNIBUSH (14c, Dansili, Peintre Celebre). 6 wins from 1400m to 1800m to 2018, €144,450, Longchamp Prix du Pin, Gr.3, Vichy Prix Jacques de Bremond, L, Maisons-Laffitte Prix du Carrefour Montesson, 3d Deauville Prix du Haras El Palmar, Saint-Cloud Prix Reliance, 4th Baden-Baden Oettingen Rennen, Gr.2. SWEETY DREAM (15f, Exceed and Excel, Be My Guest). 2 wins at 2, Maisons-Laffitte Prix Miesque, Gr.3, Chantilly Prix de la Cascade. FINAL FRONTIER (13g, Pivotal, Prince Sabo). 2 wins at 2, Curragh Anglesey S., Gr.3, Dubai Duty Free Finest Surprise 2YO S., 4th Curragh National S., Gr.1. BASILEUS (13c, Hussonet, Persian Bold). 4 wins-2 at 2-at 1500m, 1600m, €140,741, Rome Premio Mauro Sbarigia, L, Milan Premio d'Estate, L, Premio SGA ASTA Selezionata, Rome Premio Stratford, 2d Milan Gran Criterium, Gr.2, Rome Premio Ribot, Gr.3, Premio Natale di Roma, L, Premio Daumier, Premio Arconte, Premio Gentlewave, 3d Milan Premio Ambrosiano, Gr.3, 4th Rome Premio Presidente della Repubblica, Gr.2. GOLD TAIL (15c, Elusive City, Pivotal). 6 wins-5 at 2-at 1000m, 1200m to 2018, Rome Premio Divino Amore, L, Premio Samba, 2d Rome Premio Scintillante, 3d Rome Premio Batavia, Premio In a Tiff. SENSEI (14c, Woodman, Bletchingly). 5 wins-1 at 2-to 1400m to 2018-19, NZ$149,685, Otago RC Hazlett S., L, Speight's H., 2d CJC Stewards H., Gr.3, Ashburton RC John Grigg S., Gr.3, CJC Strategy Creative H., 3d WRC Telegraph H., Gr.1, CJC Welcome S., L, NZB South Island Sale 21st April S.
TISBUTADREAM (14f, Choisir, Hector Protector). 5 wins at 1m, Sandown Distaff S., L, Ascot Breeders' Series Fillies' H., Kempton 32red H., 2d Deauville Prix de Lieurey, Gr.3, 3d Epsom Princess Elizabeth S., Gr.3, Sandown Atalanta S., Gr.3, Ascot Valiant S., L, Newmarket Rosemary S., L.
PEACH MELBA (14f, Hurricane Sky, Batshoof). 5 wins from 1400m to 1600m, Hannover Grosser Preis des Gestüt Haus Zoppenbroich, L, Newmarket Breeders' Fillies Series H., Lingfield Breeders Series' Fillies' H., 2d Haydock Best Odds at 188bet S.
KEN'S DREAM (13g, Shamardal, Stark South). 5 wins to 1200m to 2017-18, A$538,150, MVRC Mitchell McKenzie S., L, VRC Better Beyond P., MRC Selangor Turf Club H., VRC Royal Ascot H., 2d VRC Incognitus S., L, MRC Vobis Gold Sprint, MVRC Quest Moonee Valley P., PKF P., Independent Turf Services H., SAJC Carbine Club H., 3d MRC Victoria H., Gr.3, VRC AR Creswick Series Final S., L, 4th MVRC Australia S., Gr.2, MRC Blue Sapphire S., Gr.3. VISIONARY (14g, Lawman, Nashwan). 4 wins-1 at 2-to 7f, Newbury Carnarvon S., L, Wolverhampton 932red.com Conditions S., 2d Lingfield All-Weather Championships 3YO S., 3d Ascot Totepoolliveinfo.com 2YO S., Newcastle Betway Heed Your Hunch H., Lingfield 32red.com S.
GENERALISSIMO (13g, Redoute's Choice, El Moxie). 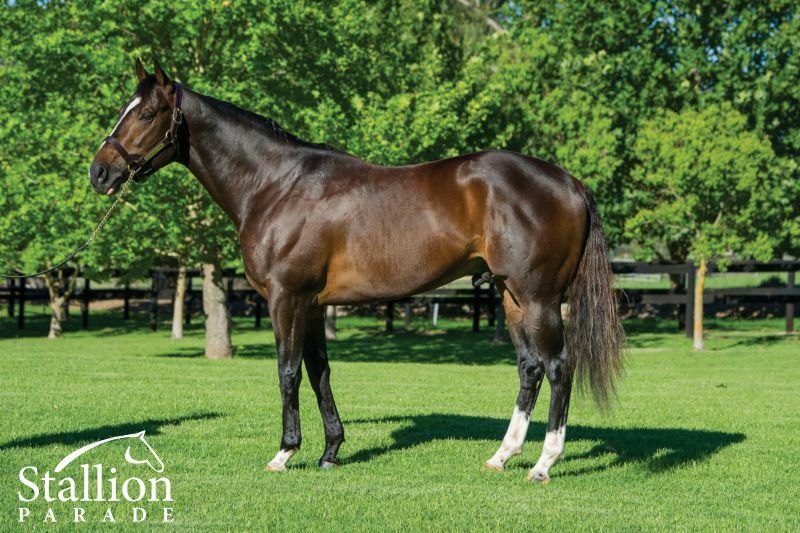 4 wins to 1400m, A$264,035, ATC South Pacific Classic, L, 2d ATC Vale John Marshall H., 3d ATC Eskimo Prince S., Gr.3, Spring Racing H., Rosehill Bowling Club H.
DREAM OF DREAMS (14c, Dansili, Indian Ridge). 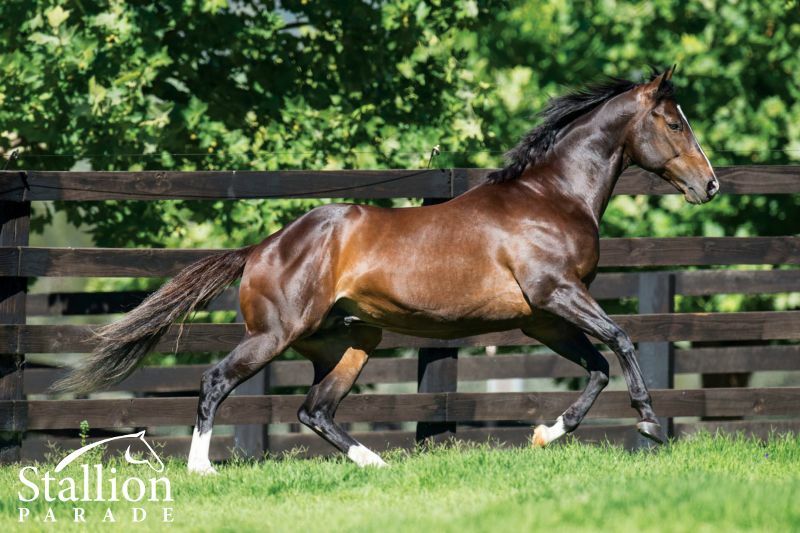 3 wins-1 at 2-to 7f, £129,183, €10,350, Doncaster Wentworth S., L, Haydock British Stallion Studs 2YO S., Lingfield British Stallion Studs S., 2d Newbury Hungerford S., Gr.2, Ascot Bengough S., Gr.3, Goodwood Supreme S., Gr.3, York Rockingham S., L, Doncaster Irish Stallion Farms 2YO S., Newmarket Ben Burgess & Co 2YO S., 3d Curragh Railway S., Gr.2, Newbury Hackwood S., Gr.3. MOZART (15c, Sternkönig, Shaadi). 2 wins-1 at 2-at 1400m to 2018, Ooty Nilgiris Two Thousand Guineas, L, 2d Mumbai Breeder's Produce S., L.
GORANE (14f, Nashwan, Silver Deputy). 2 wins-1 at 2-at 5f, 6f, €86,055, Tipperary Abergwaun S., L, 2d Curragh Ballyogan S., Gr.3, Sole Power S., L, Navan Power S., L, Woodlands S., L, 4th Naas Lacken S., Gr.3. 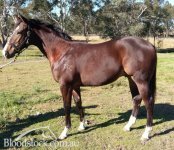 AWAKEN (13f, Redoute's Choice, Zabeel). 2 wins at 1400m, 1800m, A$104,175, WATC Ascot One Thousand Guineas, L, 3d WATC Lavazza H.
PURSUING THE DREAM (15f, Dubawi, Kefaah). Winner at 2, Deauville Prix de la Vallee d'Auge, L, 2d Santa Anita Senorita S., Gr.3, 4th Doncaster Flying Childers S., Gr.2. Raucous (13g, Acclamation, Miswaki). 4 wins-2 at 2-to 6f to 2018, £158,282, Goodwood Thames Materials Bulk Excavations H., Newmarket Adnams Mosaic 2YO S., 2d Lingfield Sun Racing All-Weather Championships Apprentice H., Newcastle Jack Berry House H., Kempton Better Odds With Matchbook H., 3d York Gimcrack S., Gr.2, Newbury Mill Reef S., Gr.2, Ascot Bengough S., Gr.3, Newbury Hackwood S., Gr.3, Epsom Surrey S., L, Goodwood Stewards' Cup, 4th Newbury Hackwood S., Gr.3, Windsor Leisure S., L.
Golden Stunner (13f, Sabrehill, Lyphard). 4 wins from 7f to 8½f, Newbury Bathwick Tyres Fillies' H., York Constant Security S., Newmarket Free Bet at 188bet Fillies' H., 2d Fairyhouse Brownstown S., Gr.3, York Ganton S., L, Newmarket Community Raceday Fillies' S.
Gold Vibe (13g, Stravinsky, Woodman). 4 wins at 1100m, 1200m, €247,560, Deauville Prix de Vire, Prix Arreau, 2d Longchamp Prix de l'Abbaye de Longchamp, Gr.1, Chantilly Prix du Gros-Chene, Gr.2, Prix du Petit Couvert, Gr.3, Longchamp Prix de Saint-Georges, Gr.3, Maisons-Laffitte Prix de Seine-Et-Oise, Gr.3, Prix de Bonneval, L, Deauville Prix d'Hudimesnil, Maisons-Laffitte Prix Zino, 3d Maisons-Laffitte Prix Hampton, L.
Boos (14f, Kheleyf, Linamix). 3 wins-2 at 2-at 1000m, 1200m, €110,830, US$43,997, 2d Criterium de Maisons-Laffitte, Gr.2, Vichy Prix des Reves d'Or, L, Chantilly Prix des Usages, 4th La Teste Criterium du Bequet, L.
Dream Mover (13c, Hussonet, Storm Bird). 3 wins-1 at 2-to 7¼f, Saratoga Allowance, 2d Milan Premio Chiusura, Gr.3, Doncaster Howcroft Industrial Supplies H., Newmarket Racing UK H., 3d Doncaster Wheatley Pallets H.
Silent Attack (13g, Trempolino, Spectacular Bid). 3 wins at 7f, 1m to 2018, Newmarket Whiting & Partners H., Lingfield Jackie Williams 60th Birthday Celebrations H., 2d Istanbul Topkapi Trophy, Gr.2, Newmarket Bet365 Mile, 3d Meydan Cepsa Energy Cup H.
Dream Today (15g, Machiavellian, Caerleon). 2 wins-1 at 2-at 1200m, 1400m to 2018-19, Meydan Healthcare Cup, York Convivial 2YO S., 2d Newmarket Autumn S., Gr.3, Molson Coors H., 3d Newmarket Royal British Legion H., Meydan Al Naboodah Automotive Division H., Land Rover Discovery H.
Dreamed (15f, Anabaa, Zabeel). Winner at 1250m in 2018-19, SAJC Schweppes P., 2d SAJC Auraria S., Gr.3. Dream First (13f, Tobougg, Royal Academy). Winner at 1200m, 3d MRC Blue Diamond Preview (f), Gr.3. 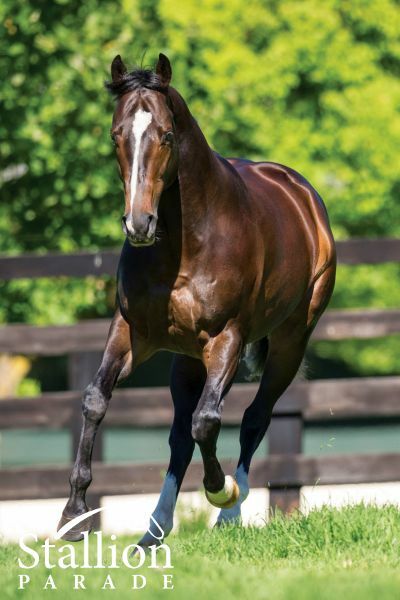 Leading French First Season Sire in 2015. DIKTAT (GB) (Brown 1995-Stud 2000). 7 wins, Haydock Sprint Cup, Gr.1. 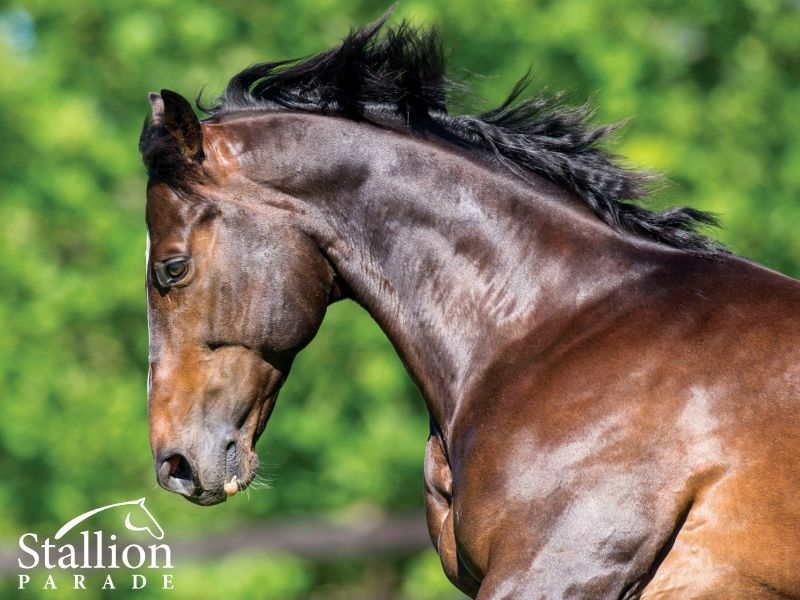 Sire of 716 rnrs, 385 wnrs, 26 SW, inc. Dream Ahead (Deauville Prix Morny, Gr.1), Rajeem, First City, Contat, Definightly, Skins Game, Lady Gloria, Formal Decree, Short Skirt, Adamantina, Dixie Belle, First Selection, Addicted, Diktatorial, Mambo King, Chilworth Lad, Dikta del Mar, Klipspringer, Toolain, Mundybash, Law Lord, Prianca, Dash to the Front, Females Fun, etc. DREAM AHEAD (c by Diktat) 6 wins. See below. INTO THE DARK (g by Rainbow Quest) 5 wins from 1¼m to 1½m, Newmarket James Seymour S., L, Ayr Doonside Cup, L, York Elite Homes Garrowby H., Newmarket Vibe FM Vibe Tribe H., Doncaster Go Racing in Yorkshire S., 2d Newbury Arc Trial S., Gr.3, Newmarket Godolphin S., L, Kempton Floodlit S., L, 3d Newmarket James Seymour S., L, 4th Newmarket Darley S., Gr.3, Goodwood Tapster S., L.
Bin Battuta (g by Dubawi (Ire)) 4 wins-1 at 2-from 1200m to 2400m to 2018-19 in GB and U.A.E, Ascot Woodford Reserve H., Meydan Longines Gents Record Collection H., Doncaster Yorkshire Wildlife Park H., 2d York Melrose H., 3d Meydan Nad Al Sheba Trophy, Gr.3, EGA Al Taweelah Trophy H., Newmarket Bet365 H.
William Blake (g by Rainbow Quest) Champion Imported Older Male in Bahrain in 2014-15. 9 wins from 1600m to 2400m in GB and Bahrain, Bahrain National Day Cup, National Day Cup, Bahrain Gold Cup, 2d Ascot October Club H.-twice, 3d Ascot Liverpool University Equine Vets H., Newmarket Mickey Flynn's American Pool H., Kempton Celtic Contractors H.
Only Make Believe (c by Selkirk) Winner at 2, 2d Curragh Boylesports.com H., 4th Fairyhouse El Gran Senor S., L.
Franklin House (g by Exceed and Excel) Placed at 3 in 2018 in Germany. New Style (f by Street Cry (Ire)) Placed at 3 in GB. Police Force (c by Street Sense) Placed in GB, Oman and U.A.E, 3d Newmarket Russian Standard Vodka 2YO S.
Padoga. Winner at 2 in France. Invernata. Winner at 12½f in GB. Dream Shared (f by Fantastic Light (USA)) Placed at 3 in GB. FAIRYLAND (f Kodiac) 4 wins at 2, £312,040, €47,104, in 2018, Newmarket Cheveley Park S., Gr.1, York Lowther S., Gr.2, Curragh Marble Hill S., L, 3d Royal Ascot Albany S., Gr.3. NOW OR NEVER - NOW OR LATER (Aust.) 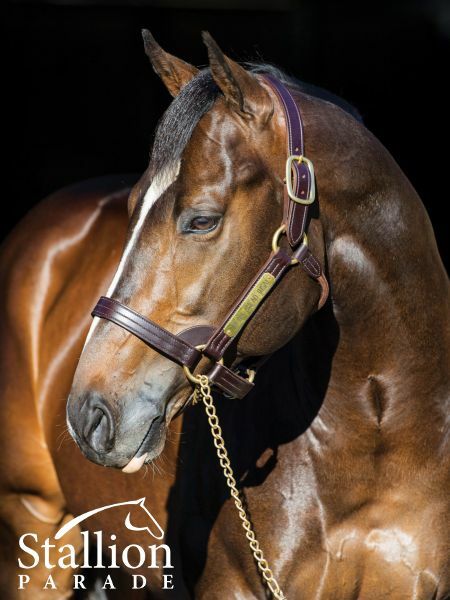 (f Bushranger) 3 wins-1 at 2-from 1400m to 1600m, £21,440, €126,045, US$1,600, A$140,000, to 2017-18, VRC Blazer S., Gr.2, Leopardstown Derrinstown Stud One Thousand Guineas Trial, Gr.3, 2d Curragh Futurity S., Gr.2, Leopardstown One Thousand Guineas Trial, Gr.3, 3d Irish One Thousand Guineas, Gr.1, 4th Royal Ascot Coronation S., Gr.1, Leopardstown Matron S., Gr.1. Atletico. 3 wins to 6f, 2d Newcastle Betway S., Lingfield Betway H., Newmarket Federation of Bloodstock Agents H.
LAND OF DREAMS (f Cadeaux Genereux) 3 wins. See above. Just a Poser (c Darshaan) 2 wins-1 at 2- in France and Saudi Arabia, Longchamp Prix de Fontenoy, 3d Chantilly Prix La Rochette, Gr.3. ZIHBA (c Choisir) 3 wins-1 at 2-at 7f, 1m to 2018, Leopardstown Amethyst S., Gr.3, 2d Leopardstown Heritage S., L.
PRINCESS NOOR (f Holy Roman Emperor) 2 wins at 2, Ascot Princess Margaret S., Gr.3, 2d Newmarket Cheveley Park S., Gr.1. Zumbi - Poetic Justice (H.K.) (c Dubawi) Winner at 2, Ascot Crocker Bulteel 2YO S., 2d HKJC Oriental Express H., 3d Goodwood Supreme S., Gr.3, York Acomb S., Gr.3, Newmarket Baden-Racing.com S.
Say No Now (f Refuse to Bend) Winner at 8½f, 2d Sandown Distaff S., L, Kempton Seeability Saving Sight 2YO S., 3d Doncaster Sceptre S., L, Goodwood Height of Fashion S., L, Grosser Preis des Hannover Airport, L. Producer. Champion Sprinter in Europe in 2011. Champion 3YO Miler in France & GB in 2011. Joint Champion 2YO Colt in Europe & GB in 2010. World Thoroughbred Ranking: 126 (in 2011). DIKTAT Champion Older Sprinter in Europe, France & GB in 1999. 7 wins to 1400m, £207,854, 680,000fr., 39,104,000¥, Deauville Prix Maurice de Gheest, Gr.1, Haydock Sprint Cup, Gr.1, Royal Ascot Jersey S., Gr.3, Newmarket Criterion S., Gr.3, Goodwood Dubai Sports Shergar Cup, Newmarket Alex Scott S., 2d Tokyo Yasuda Kinen, Gr.1, Newcastle Beeswing S., Gr.3, 3d Prix du Moulin de Longchamp, Gr.1. He entered stud in GB in 2001. Champion Sire in Spain in 2015. 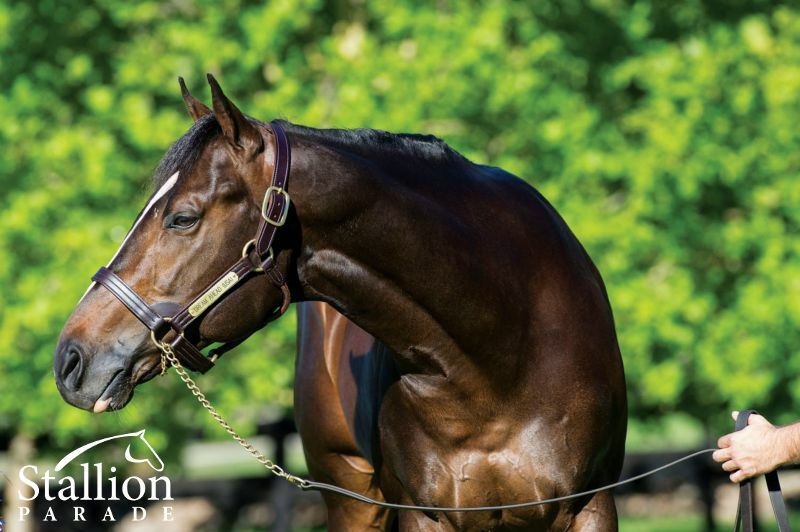 Sire of 716 progeny to race, 385 winners (53.0%), earnings of over $34 million, 26 stakes winners, 27 stakes placegetters, inc.
DREAM AHEAD (08c, Cadeaux Genereux, Green Desert). Champion Sprinter in Europe in 2011. Champion 3YO Miler in France & GB in 2011. Joint Champion 2YO Colt in Europe & GB in 2010.6 wins-3 at 2-to 1400m, £485,426, €371,410, Newmarket Middle Park S., Gr.1, July Cup, Gr.1, Deauville Prix Morny, Gr.1, Longchamp Prix de la Foret, Gr.1, Haydock Sprint Cup, Gr.1. RAJEEM (03f, Cadeaux Genereux, Gunner B). 3 wins-2 at 2-at 1m, 8¼f, £140,152, Newmarket Falmouth S., Gr.1, Montrose S., L.
FIRST CITY (06f, Carson City, Lead on Time). 3 wins-1 at 2-at 1200m, 1600m, Meydan Cape Verdi S., Gr.2, Newbury Bathwick Tyres H., 2d Meydan Balanchine S., Gr.2, Cape Verdi S., Gr.2, Goodwood Supreme S., Gr.3, Epsom Princess Elizabeth S., Gr.3, Ascot Bovis Homes H., Leicester Charnwood Forest S., 3d Newmarket Falmouth S., Gr.1, Royal Ascot Windsor Forest S., Gr.2, Newmarket Nell Gwyn S., Gr.3, Haydock James Edwards Landrover 2YO S., 4th Deauville Prix Rothschild, Gr.1, Ascot October S., L.
CONTAT (03c, Robellino, Dancing Brave). 9 wins from 1200m to 1600m, €194,495, Baden-Baden Benazet Rennen, Gr.3, Cologne Silberne Peitsche, Gr.3-twice, Bremen Bremer Oster Sprint-Cup, L, Dresden Sachsen Preis, L, Baden-Baden Preis vom Europa Park, Kincsem Rennen, 2d Baden-Baden Goldene Peitsche, Gr.2, Cologne Silberne Peitsche, Gr.3, 3d Hoppegarten Benazet Rennen, Gr.3, Hamburg Jaxx Pokal, Gr.3, Baden-Baden Netjets Cup, 4th Lotto Hamburg Trophy, Gr.3. SKINS GAME (06c, Akarad, Lomond). 8 wins-1 at 2-at 1600m, 1900m, €276,150, Saint-Cloud Prix Edmond Blanc, Gr.3, Prix Altipan, L, Grand Prix de Bordeaux, L, Deauville Prix des Chaumieres, 2d Saint-Cloud Prix Edmond Blanc, Gr.3, Prix du Ranelagh, L, Maisons-Laffitte Prix Bend Or, Saint-Cloud Prix Birum, 3d Deauville Prix Gontaut-Biron, Gr.3, Saint-Cloud Prix Perth, Gr.3, Bordeaux Prix Andre Baboin, Gr.3, Strasbourg Grand Prix de la Region Alsace, L, Grand Prix de Bordeaux, L, 4th Saint-Cloud Prix du Muguet, Gr.2, Prix Perth, Gr.3, Prix Altipan, L.
FORMAL DECREE (03g, Highest Honor, Formidable). 8 wins from 1600m to 2000m, £168,818, €36,000, US$226,660, 1,012,000Dhs, Belmont Knickerbocker H., Gr.3, Strawberry Burrah S., L, Nad al Sheba Al Rashidiya S., L, Newmarket Cambridgeshire H., Blandford Bloodstock Joss Collins H., Nad al Sheba Sahm Trophy, 2d Hollywood Park Citation H., Gr.1, Munich Bayerisches Zuchtrennen, Gr.1, Nad al Sheba Jebel Hatta S., Gr.2, Haydock Rose of Lancaster S., Gr.3, Delaware Park Sussex S., L, 3d Newbury John Smith's H.
DEFINIGHTLY (06g, Danzig Connection, Cadeaux Genereux). 7 wins-2 at 2-to 1400m, £64,672, €129,900, Curragh Sapphire S., Gr.3, Maisons-Laffitte Prix de Seine-et-Oise, Gr.3, Goodwood Starlit S., L, Doncaster Crownhotel-Bawtry.com Nursery H., Goodwood Bank Holiday H., Stanjames.com H., 2d Deauville Prix de Meautry, Gr.3, Curragh Renaissance S., Gr.3, Newmarket Palace House S., Gr.3, Curragh Waterford Testimonial S., L, Newbury Usk Valley Stud Nursery H., 2YO S., 3d Curragh Phoenix Sprint S., Gr.3, Maisons-Laffitte Prix de Seine-et-Oise, Gr.3, Salisbury Cathedral S., L.
LADY GLORIA (04f, Pivotal, Diesis). 6 wins from 1600m to 2000m, £106,342, €33,150, Epsom Princess Elizabeth S., Gr.3, Goodwood Select S., Gr.3, Fontainebleau Prix Solitude, L, 2d Ascot Rosemary H., L, Goodwood Conqueror S., L, On the House S., L, 3d Goodwood Weatherbys Bank H.
SHORT SKIRT (03f, Bustino, Lorenzaccio). 4 wins-1 at 2-from 7f to 1½m, £188,965, York Musidora S., Gr.3, Newbury St Simon S., Gr.3, Newmarket Severals S., L, David Thom Memorial 2YO Fillies S., 2d Yorkshire Oaks, Gr.1, 3d The Oaks, Gr.1. DIXIE BELLE (03f, Anabaa, Cadeaux Genereux). 3 wins-2 at 2-at 5¼f, 6f, Newbury World Trophy, Gr.3, Newmarket Empress S., L, 2d Sandown Scurry S., L, 4th Ayr Firth of Clyde S., Gr.3, Naas Swordlestown Stud Sprint S., L.
ADAMANTINA (08f, Wolfhound, Roberto). 2 wins at 2, €167,505, Milan Premio Dormello, Gr.3, Premio Coolmore, L, 2d Rome Premio Regina Elena, Gr.3, Milan Premio Seregno, L, Rome Premio Bianca Verga, 3d Milan Premio Sergio Cumani, Gr.3, Rome Premio Carlo Chiesa, Gr.3, Milan Premio La Bergamina, Rome Premio UNPCPS. FIRST SELECTION (13g, Mozart, Rainbow Quest). 4 wins at 2, £71,047, €135,740, 42,205Dhs, Sandown Solario S., Gr.3, Newmarket Bedford Lodge Hotel Nursery H., Beverley Brian Yeardley Continental 2YO Trophy, 2d Deauville Poule d'Essai des Poulains, Gr.1, Lingfield 188bet H.
DIKTATORIAL (02g, Damister, Nureyev). 4 wins-2 at 2-from 1400m to 3200m, Newmarket Somerville Tattersall S., Gr.3, Sandown Combi UK 2YO S., 2d Goodwood Vodafone Apprentice H.
ADDICTED (06f, Surumu, Pentathlon). 2 wins at 1400m, 1600m, Cologne Schwarzgold Rennen, Gr.3, 4th Grosser Preis des Hannover Airport, L.
CHILWORTH LAD (08g, Desert Style, Anita's Prince). 5 wins-1 at 2-to 7f, Newbury Dubai Duty Free Cup, L, Redcar Guisborough S., L, Newbury Shadwell Nunnery Stud S., Ascot McGee Group 2YO S., 2d Sandown National S., L, 3d Epsom Surrey S., L, 4th Curragh Railway S., Gr.2, Goodwood Vintage S., Gr.2. TOOLAIN (08g, Machiavellian, Fairy King). 7 wins-2 at 2-from 1400m to 2000m, Ascot Winkfield S., L, Meydan Friday H., District One H., 3d Ascot Transformers & Rectifiers Anniversary H., 4th Ascot Autumn S., Gr.3. MUNDYBASH (05c, Double Bed, Exbury). 6 wins from 1800m to 2100m, €181,560, Rub174,510, Longchamp Prix de Boulogne, L, Saint-Cloud Prix du Bearn, Longchamp Prix Relko, Maisons-Laffitte Prix Sea Bird, 2d Vichy Prix Jacques de Bremond, L, Longchamp Prix Fasquel, Prix Samos. KLIPSPRINGER (08f, Lion Cavern, Blushing Groom). 5 wins at 1200m, 1400m, Kolkata Multi-Million Trophy, L.
MAMBO KING (02c, Kingmambo, Polish Precedent). Champion 3YO Colt in Scandinavia in 2005.5 wins from 1400m to 1800m, Klampenborg Pokallob, L, 2d Danish Jockey Club Cup, L, Ovrevoll Norsk Derby, Klampenborg Skandinavisk Grand Prix, 3d Klampenborg Pokallob, L, Jagersro Sydsvenskan Sofierolopning, Klampenborg Larch Arespramie, 4th Klampenborg Dansk Jockey Club Cup, L.
FEMALES FUN (03f, Emarati, Tribal Chief). 4 wins-1 at 2-at 1350m, 1600m, Ovrevoll Morten og Torvald Klaveness' Minnelop, L, Norsk 1000 Guineas, Norsk Kriterium, 2d Ovrevoll E Eckbo Legats Vandrepokal, 3d Taby Amacitalopning, 4th Ovrevoll Semb Hovedgard Hoppelop, L.
LAW LORD (04g, Highest Honor, Sharpen Up). 3 wins-2 at 2-at 1200m, 1800m, Saint-Cloud Prix Saraca, L, Chantilly Prix d'Ommeel, 2d Chantilly Prix Sigy, L, Nad al Sheba Invasor H., Jebel Ali Shadwell Farm S., 3d Nad al Sheba Etisalat Ahlan H.
NORWEGIAN PRIDE (02f, Green Desert, Glint of Gold). 3 wins at 1600m, Munich Preis des Bankhauses Riemer Stuten Meile, L, Taby Dianalopning, Maisons-Laffitte Prix de Buc, 2d Jagersro Scandinavia Cup, L, Deauville Prix de la Perelle, Chantilly Prix des Closeaux, 3d Ovrevoll Norsk 1000 Guineas, 4th Taby Lanwades Stud S., L.
DIKTA DEL MAR (12f, Limpid, Glauco). 2 wins at 2, Longchamp Criterium de Vitesse, L, 2d Vichy Prix des Reves d'Or, L, 3d Ayr Land o' Burns S., L, Tipperary Abergwaun S., L, 4th Chantilly Prix d'Arenberg, Gr.3, Prix La Fleche, L, Naas Woodlands S., L.
PRIANCA (04f, Inchinor, Dowsing). 2 wins-1 at 2-at 1400m, 1600m, Milan Premio FIA European Breeder Fund, L, 2d Cologne Preis des Union Gestuts, L, 4th Milan Premio Sergio Cumani, Gr.3. DASH TO THE FRONT (03f, Nashwan, Mill Reef). 2 wins at 8¾f, 11f, Warwick Warwickshire Oaks, L, 2d Newmarket Fillies' H.
VISTA BELLA (02f, Trempolino, Spectacular Bid). 2 wins at 7f, 1m, Kempton Masaka S., L, 3d The One Thousand Guineas, Gr.1. Red Alert Day (05g, Green Desert, Diesis). 6 wins-1 at 2-from 6½f to 1¼m, £44,399, US$216,350, Newmarket July Course Series Nursery H., Santa Anita Allowance, 2d Kempton Sirenia S., Gr.3, Ascot Liverpool Vets 2YO S., 3d Newbury Greenham S., Gr.3, Newmarket King Charles II S., L, July Course Series Nursery Final, Doncaster 1stsecuritysolutions.co.uk S., Newbury Mountgrange Stud S., Newmarket 2YO S., 4th Hollywood Park Charles Whittingham Memorial H., Gr.1, Newmarket Middle Park S., Gr.1. Fox (02c, Diesis, Alydar). 2 wins-1 at 2-at 1400m, 1600m, Newmarket Football Handicaps at Capital Sports 2YO S., 2d Goodwood Green & Black's Organic Chocolate 2YO S., 3d Goodwood Vintage S., Gr.2, Klampenborg Golden Mile, L, 4th Newmarket Superlative S., Gr.3. Wadaat (06f, Twilight Agenda, Keen). Winner at 1m, £10,349, €105,600, 2d Oaks d'Italia, Gr.2, 3d Sandown Distaff S., L.
Zaya (05f, Royal Applause, Bold Lad). Winner at 2, 2d Cologne Silberne Peitsche, Gr.3, Munich Bayerischer Fliegerpreis, L, Grosser Preis der Stadtsparkasse Düsseldorf, L, Grosser Preis von Hannover, L, 3d Hannover Grosser Preis der HTP, L, 4th Bremen Bremer Sprint Cup, L, BMW Preis Düsseldorf, L.
His sire sons include Dream Ahead (21), Contat, Skins Game, Mundybash, Russkij Diktat, etc. The 2011 Cartier Sprinter of the past European racing season and a five-time Group 1 winner at 2-3 years responsible for wins in some of the most celebrated races in the world’s Pattern Race program. At 2-years, commenced with a nine-length debut maiden victory, before Group 1 successes in the time honoured Deauville Prix Morny (G1) and Newmarket Middle Park Stakes (G1). Claimed the Newmarket July Cup (G1), Haydock Sprint Cup (G1) and Longchamp Prix de la Foret (G1) during his only other racing season at 3-years. Commences stud duties following in the same path as such racing/breeding luminaries as Blushing Groom, Sharpen Up, Irish River, Lyphard, Petingo, Green Desert, Machiavellian, Royal Academy, Stravinsky, Oasis Dream, Anabaa and the incomparable Danehill — all past winners of one or more of the very same events. Yearlings have been bought by Shadwell, China Horse Club, Peter Moody, Gai Waterhouse, John Hawkes, Ron Quinton, Aquanita, John Warren, Pan Sutong, Rabbah Bloodstock, Justin Bahen, Malua Racing, John Thompson.